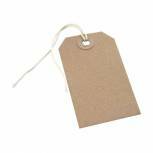 Strung Tag 120x60mm Buff (Pack of 1000) KF01600 Pack of 1 A high quality range of strung tags with reinforced eyelets for extra strength and durability. Colour - Buff. Size 120x60mm. 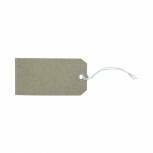 Strung Tag 70x35mm Buff (Pack of 1000) KF01596 Pack of 1 A high quality range of strung tags with reinforced eyelets for extra strength and durability. Colour - Buff. Size 70x35mm. 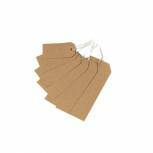 Strung Tag 82x41mm Buff (Pack of 1000) KF01597 Pack of 1 A high quality range of strung tags with reinforced eyelets for extra strength and durability. Colour - Buff. Size 82x41mm. 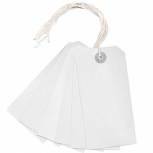 48x30mm White Strung Ticket (Pack of 1000) KF01620 Pack of 1 A high quality range of strung tags with reinforced eyelets for extra strength and durability. Colour - White. Size 48x30mm. 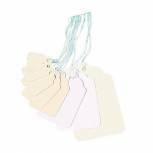 120x60mm White Strung Tag (Pack of 1000) KF01623 Pack of 1 A high quality range of strung tags with reinforced eyelets for extra strength and durability. Colour - White. Size 120x60mm. 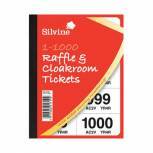 Cloakroom and Raffle Tickets 1-1000 (Pack of 6) CRT1000 Pack of 6 Clloakroom tickets. Six assorted colours. Features enhanced security numbering. Numbered 1 - 1000. 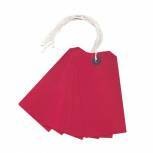 120x60mm Red Strung Tag (Pack of 1000) KF01627 Pack of 1 A high quality range of strung tags with reinforced eyelets for extra strength and durability. Colour - red. Size 120x60mm. 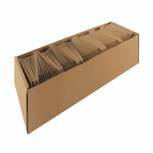 Strung Tag 146x73mm Buff (Pack of 1000) KF01613 Pack of 1 A high quality range of strung tags with reinforced eyelets for extra strength and durability. Colour - Buff. Size 146x73mm. 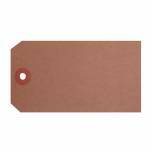 Unstrung Tags 1A 70 x 35mm Buff Single (Pack of 1000) TG8021 Pack of 1 Unstrung tags for labelling or pricing. Reinforced double-sided washer protects string hole. Made of strong board. 70x35mm. Supplied in a pack of 1000. 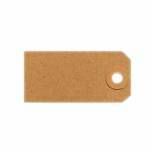 UnStrung Tags 5A 120x60mm Buff Single (Pack of 1000) TG8025 Pack of 1 Unstrung tags for labelling or pricing. Reinforced double-sided washer protects string hole. Made of strong board. Eco-friendly: 100% recycled. Dimensions: 120x60mm. Supplied in a pack of 1000. 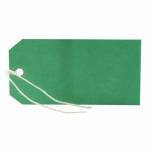 Strung Tag 120x60mm Green (Pack of 1000) KF01624 Pack of 1 A high quality range of strung tags with reinforced eyelets for extra strength and durability. Colour - green. Size 120x60mm. Strung Tag 120x60mm Blue (Pack of 1000) KF01625 Pack of 1 A high quality range of strung tags with reinforced eyelets for extra strength and durability. Colour - blue. Size 120x60mm. 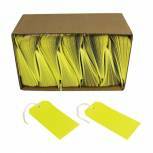 Yellow Strung Tags 120x60mm (Pack of 1000) KF01626 Pack of 1 A high quality range of strung tags with reinforced eyelets for extra strength and durability. Colour - yellow. Size 120x60mm. 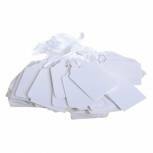 57x38mm White Strung Ticket (Pack of 1000) KF01621 Pack of 1 A high quality range of strung tags with reinforced eyelets for extra strength and durability. Colour - White. Size 57x38mm. 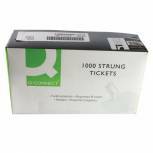 70x44mm White Strung Ticket (Pack of 1000) KF01622 Pack of 1 A high quality range of strung tags with reinforced eyelets for extra strength and durability. Colour - White. Size 780x44mm. Cloakroom and Raffle Tickets 1-500 (Pack of 12) CRT500 Pack of 12 Cloakroom tickets. Six assorted colours. Features enhanced security numbering. Numbered 1 - 500. 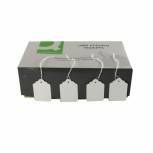 Unstrung Tags 3A 96 x 48mm Buff Single (Pack of 1000) TG8023 Pack of 1 Unstrung tags for labelling or pricing. Reinforced double-sided washer protects string hole. Made of strong board. Eco-friendly: 100% recycled. Dimensions: 96x48mm. Supplied in a pack of 1000. 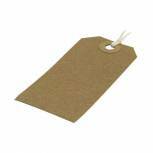 Unstrung Tags 4A 108 x 54mm Buff Single (Pack of 1000) TG8024 Pack of 1 Unstrung tags for labelling or pricing. Reinforced double-sided washer protects string hole. Made of strong board. 108x54mm. Supplied in a pack of 1000. 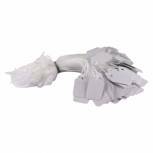 21x13mm White Strung Ticket (Pack of 1000) KF01615 Pack of 1 A high quality range of strung tags with reinforced eyelets for extra strength and durability. Colour - White. Size 21x13mm.